✦SSPU Delegation Visit Universities in U.S.
On the morning of March 8, the delegation headed by Linda Brown, President of Torrens University Australia and CEO (Australia and New Zealand) of Laureate International Universities, and Mark Falvo, Vice President International visited SSPU. President Yu Tao met with the guests. On the meeting, President Yu said that SSPU and Torrens University Australia including the universities under its umbrella like Media Design School (MDS) in New Zealand, have maintained a close cooperative relationship, and made progress and breakthroughs in aspects of cooperative education, double-degree programs, teacher collaboration, etc. He expressed the intention of developing an all-round cooperation in the field of Arts and Design, Hospitality Management and so on with Torrens University Australia. President Brown spoke highly of the cooperation between the two sides and put forward suggestions for deepening future collaboration. 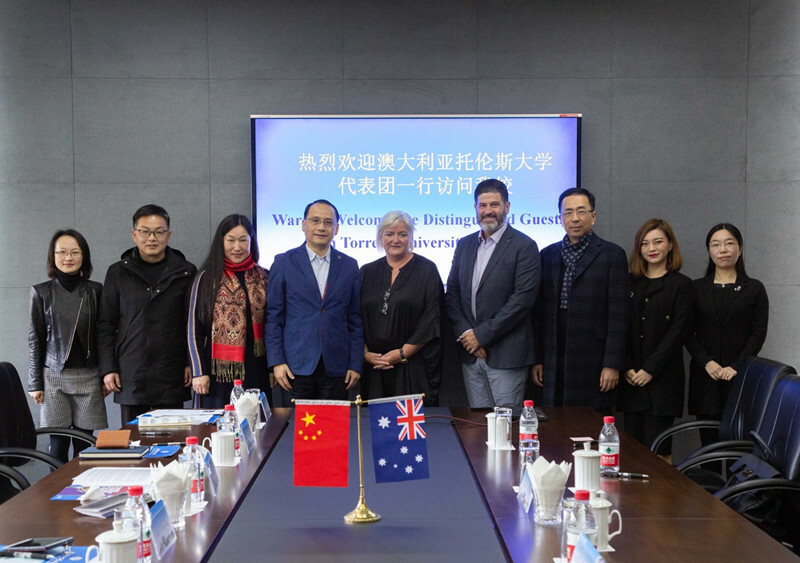 The two universities discussed and reached a consensus on student exchange, teacher mobility, Shanghai Summer School, cooperative education, etc. The delegation also visited the Exhibition Hall and Glass Workshop. Representatives of International Office, College of Engineering, School of Economics and Management, School of Applied Arts and Design attended the meeting.